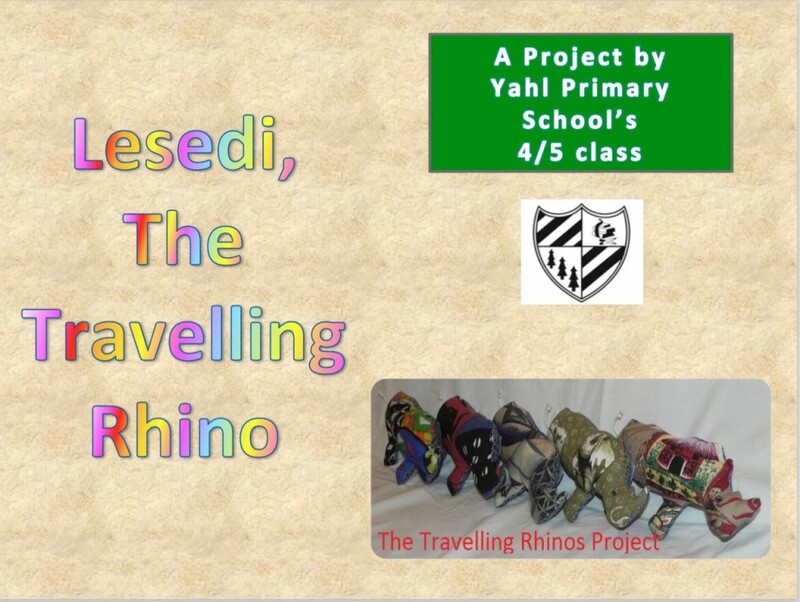 Lesedi, The Travelling Rhino, Hits Mount Gambier! Gosh! It’s been a month since I posted to our class blog. The thing is, we have been so busy with both the Lions Mad Minute (a public speaking exercise), and our impending rhino display at the Mount Gambier library! As part of our participation in the Travelling Rhino project, we undertook to raise awareness in our local community about the plight of rhinos in the wild. Rhinos are increasingly being poached for their horn – which some people mistakenly believe has medicinal properties. After brainstorming about ways to raise awareness, a student in class suggested the library. We contacted them, and the outcome was that the library agreed to give us some display space during the school holidays to engage and inform the locals! Everyone has worked so hard! Our display includes some infographics (a type of informative poster that includes more visuals than actual written information), some artwork, Lesedi herself, our little toy rhino, the book of her travel, and many Scratch games that are rhino-themed and that the audience will be able to engage with at the library, through a dedicated computer. Click the photo below to access all of our Scratch creations! You’re very welcome Lily! Thank you for your kind comment, it made my day! Good job to you all, kids!